I spend a great deal of time reading books. Many of them cover topics that are relevant to my work in data sensemaking and data visualization, and most of them are quite good, but only a few are extraordinary. 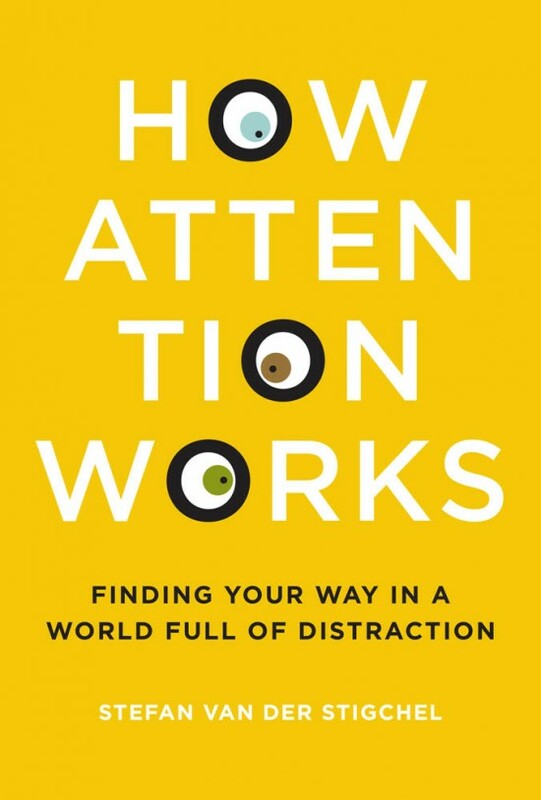 The new book, How Attention Works: Finding Your Way in a World Full of Distraction, by Stefan van der Stigchel, definitely qualifies as extraordinary. Stigchel is a professor in the Department of Experimental Psychology at Utrecht University in the Netherlands. Until recently, I taught annual data visualization workshops in Utrecht for several years. Had I known about Stigchel at the time, I would have definitely invited him out for a beer during one of my visits. His work is fascinating. This book focuses on a specific aspect of visual perception: visual attention—what it is, how it works, how it is limited, and how it has allowed the human species to progress beyond other species. It does so in a practical manner by explaining how an understanding of visual attention can improve all forms of information design. If you dig deeper into the subject of visual perception, you will quickly discover that we actually register very little of the visual world around us. We think that we see a detailed and stable world, but this is just an illusion created by the way in which our brains process visual information. This has important consequences for how we present information to others—especially attention architects. Everyone whose job involves guiding people’s attention, like website designers, teachers, traffic engineers, and, of course, advertising agents, could be given the title of “attention architect.” Such individuals know that simply presenting a visual message is never enough. Attention architects need to be able to guide our attention to get the message across…Whoever can influence our attention has the power to allow information to reach us or, conversely, to ensure that we do not receive that information at all. Everyone who visualizes data and presents the results to others is an attention architect…or should be. To visualize data effectively, you must learn how to draw people’s attention to those parts of the display that matter and to prevent the inclusion of anything that potentially distracts attention from the message. You can only do this to the degree that you understand how our brains manage visual attention, both consciously and unconsciously. Reading this book is a good start.